US Secretary of State Mike Pompeo met Saudi Arabia's king and crown prince in Riyadh on Monday, but will cut short the rest of his Middle East trip to attend a family funeral, a State Department spokesman said. 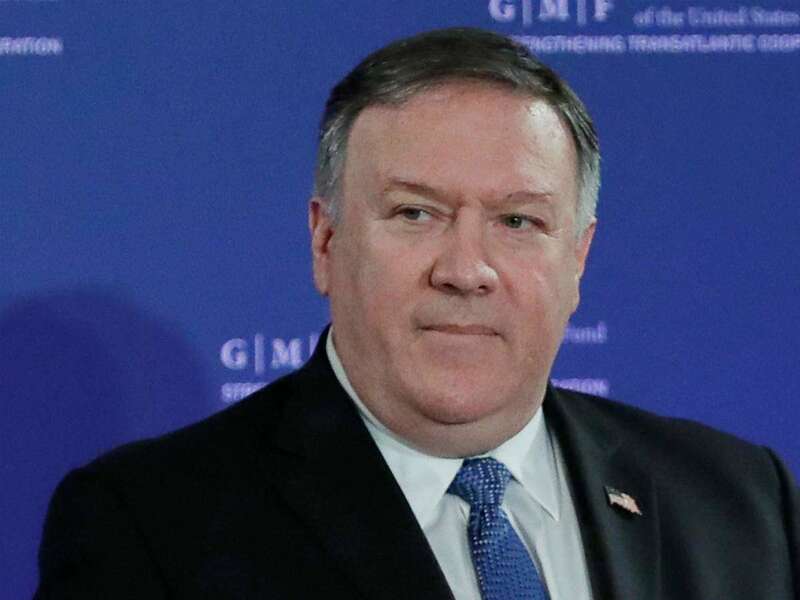 Pompeo will return home after meetings in Oman instead of travelling on to Kuwait, deputy spokesman Robert Palladino said. US officials said the death was in the family of his wife, who accompanied him on the trip and will return with him. The top US diplomat met separately with King Salman for 35 minutes and Crown Prince Mohammed bin Salman for another 45 minutes, according to reporters travelling with him. Pompeo has said he would also discuss the investigation into the murder of Saudi journalist Jamal Khashoggi inside the Saudi consulate in Istanbul in October, but no details of that discussion were immediately available. A CIA assessment has blamed Prince Mohammed for ordering the killing of Khashoggi, a longtime royal insider who had become a critic of the crown prince, though Saudi officials deny the prince ordered the murder. The killing has sparked the kingdom's worst political crisis in a generation, strained ties with Western allies including the United States, and focused attention on Prince Mohammed's domestic crackdown on dissent and the war in Yemen.